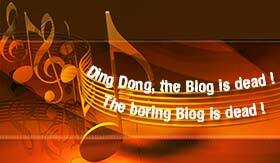 If my blog were a guy instead of bits & bytes, he would have been declared dead years ago. Properly buried, with an extra 3 spadefuls of sand to make sure he doesn’t come back. It’s not his fault, of course, it’s mine, the blogger’s fault. by denying them the love and care that your blog needs to grow and become strong and healthy. Maybe you, too, are guilty of letting a blog die or starve. Factually this post is about how I’m bringing my own blog back to life. 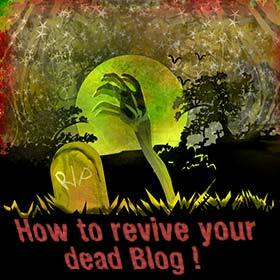 But the purpose of this post is to show how you, too, can re-boot your blog. The ‚reasons why‘ we should be blogging have been beaten to death elsewhere, I’m not repeating what has been said so many times. But it’s worth noticing that blogging as a whole is seeing a revival in interest, especially blogging for business. In the 2013 edition of SocialMediaExaminer’s annual SOCIAL MEDIA MARKETING INDUSTRY REPORT one of the major findings was that 66% of marketers plan on increasing blogging in 2013. For marketers blogging is one of the pillars of inbound marketing, and – after the Panda and Penguin disasters – blogging is the #1 way to build an authority web site in your market. After crunching some numbers I’ve estimated that there are more than 200,000,000 blogs on the internet. The majority of those blogs is dead; unmaintained, hasn’t been updated for years. Fortunately a blog can be resurrected quite easily, and this article is the beginning of a real-time blogging case study how to revive InternetBusinessMastermind.com (short: ibmm) and turn it into something worth inhabiting the Blogosphere. This is a long post, analyzing blog content and traffic from 2007 to 2013. I will point out the “lessons learned” that you can apply to your own blog. When I decided to put more work into ibmm and to turn it into something meaningful, 3 months ago, the natural first step was to take an inventory. What’s the current state of my blog? What content is already there? How have blog and blog content and blog traffic developed over years? I registered the domain almost 7 years ago, on August 15 2006. Imagine how huge the blog would be today if I had posted frequently! 5 posts per week would equal more than 1800 posts today. And I would have gathered a tribe of frequent readers – something that can never happen if you post infrequently. The reality when I started reviving ibmm a few weeks back was around 300 posts, lots of them very short and not what you’d call an ‚evergreen‘ post. Imagine how successful your site could be if you’d expand it consistently. How has traffic evolved, and how was traffic related to what I did with the blog? Here’s a Google Analytics screenshot. I’ve added numbers, and below I’ll explain what happened. I registered the domain in 2006, but didn’t start blogging until February 2007. What got me started was Yaro Starak’s outstanding blogging course (unfortunately not available anymore, it's the best blogging course ever created). BUT: I lacked consistency. Sometimes I would blog. Then I would stop for weeks, even months. It's no surprise a blog isn't getting anywhere this way. The first slow rise in traffic (just right from arrow #1 in the pic) was a result of ca. 20 unique posts written within a few months. Then I stopped blogging completely. Lesson learned: If you build it, they will come. Although not many, at first. If you stop building it … well, of course, traffic will dwindle. Consistency is key. When I created the blog I chose a well-developed blogging platform, Serendipity, despite my fears that it might not stay up to date as well as other platforms. Serendipity lacked the developer community and the breadth of support (plugins/themes) that WordPress offers. That’s especially true when you’re looking for commercial or marketing related features. So in 2008 I deleted my Serendipity blog, installed WordPress, and never looked back. Lesson learned: Always chose the leading platform, no matter how impressive an outsider- or geek-platform might look. That’s true not only for your blog, but for all the tools you need in business: autoresponders, sales software, video software etc. This is also relevant when choosing a platform because it’s free, for example a free autoresponder. If ‚free‘ makes you choosing the inferior platform, you will almost always regret it later. In 2012 I switched to a new WordPress theme and my traffic dropped 40% within days. See the 2 red lines at arrow #3. At that time my traffic came almost exclusively from Google – and the drop in traffic resulted completely from a drop of visitors from Google. Google hated my new blog theme! I found out that the main difference between the 2 themes was that the old theme had links to all blog categories, while the new theme – in its default state- did not link to any category. Lesson learned: The internal linking structure is crucial to search engine optimization. Make sure that your most important pages, posts, categories are linked to on each and every page of your blog. A blog that doesn’t provide a lot of internal linking turns your pages and posts into isolated islands and prevents Google from understanding your site structure. You’ll lose tons of traffic you could, otherwise, have. Content 1. There’s a significant short time spike in traffic around December 2008 / January 2009, right after the flat line of #2 where Analytics was missing. This was shortly after creating my new WordPress blog. It correlates with a number of new, original posts that I wrote for my ‚new‘ blog. I stopped posting end of February. Traffic drops to a steady level. Content 2. Then there’s another, tiny, spike around May and June. This, again, correlates with a few original posts. Lesson learned: Original content drives traffic. Content 3. Mid 2009 I started to consistently (for the first time) publish content, but it was not original content, and often it wasn’t even exclusive to ibmm. Guest posts from Willie Crawford and John Delavera weren’t exclusive, they appeared on other sites, too. Today, however, lots of those other sites are gone, which turned the articles into exclusives. And for those still available on several sites, I find that Google puts my blog on the first spot in search listings. Even Willie’s articles on his own web site were omitted, while the copies of his articles on my blog remain on top. This kills the SEO myth that being the first to post an article will keep your article on top of Google, compared to others who posted the same article later. Willie certainly posted his articles to his own sites first, before sending them to other publishers. Another change to a new WordPress theme. This time the theme contains better internal linking, although still no links to the categories. At arrow #4 we see an immediate traffic increase, although from a low traffic base it’s not very much. Lesson learned: An optimized blog theme and smart internal linking will increase your Google traffic. Throughout 2009 most of my posts were the non-exclusive guest posts from Willie and John I mentioned above. 2010 and 2011 I posted more frequently, now with some semi-exclusive content. What the heck is ‘semi-exclusive’ content? Well they were about 100 posts that I created with edited excerpts from PLR e-books. The content was actually okay, and I just expanded them a bit to add my own thoughts. As you can see in the chart traffic is slowly, very slowly, climbing in 2010 and it sees a stronger growth in 2011. The real visitor numbers are still painfully low, but the upwards trend is clear. The end of the orange line #5 shows the final section of those edited PLR posts. Once they were all posted, the traffic remains almost the same despite no new posts going live. Constant posting drives growing traffic. Even if the content is not unique. When using duplicate content from other sites, being the first publisher does not help ranking this content long term. Being the last publisher does not hinder ranking them long term. The first one might be omitted by Google while copies remain in the index. What once was non-exclusive, duplicate content has turned into almost-exclusive content simply by other sites going offline or burying their articles so deep in the archives that Google doesn’t notice them anymore. Here persistance is key. Even if you do a crappy job, if you stay around long enough, you'll outlive the others. After a long period of consistent weekly posting the traffic will remain static for some time even if you stop posting. Between #5 and #6 traffic is constant. This was a phase of not-posting. Now our case study is getting interesting! April 2012 I started to auto-publish my posts from my Google Plus profile into a special g+ category on this blog. I have stopped doing this, but my traffic stats show an immediate increase in traffic. There’s a small, but undeniable, upwards trend in visitors. Apart from those automated g+ posts I’ve have created only 3 unique blog posts in 2012 and a handful of short news posts. These are posts that are truly unique. 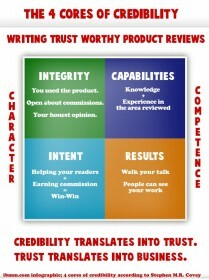 This is what you should aim to create if you want to build a great blog. It’s not published anywhere else. The topic isn’t one that’s been beaten to death on thousands of blogs. It’s presented in unique point of view, based on the author’s life experiences and interests. No one else could have written it exactly the same way. They contain original images, illustrations, or infographics. They make little known information or brand new information available. It’s also one of the most successful posts since 2007. Only a few link bait posts and very few ‘evergreen’ posts had more traffic throughout the years. This is not my own research but showcasing research 2 other authors have compiled. While the part about Jeremiah Owyang’s research was already widely known, the research of Christian Faller was almost unknown to the English speaking social media world. Like me, he’s from Germany. 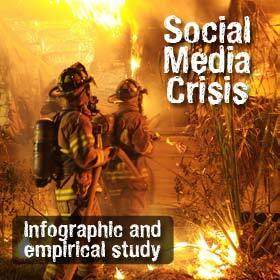 I’ve put them together in one interesting post covering research and findings about social media crisis over a long span of time. This is my very unique view of affiliate reviews. It’s the type of post that no one else could have written in the exact same way. It’s the type of post that separates true bloggers from copycats and me-too-bloggers. This is not saying “it’s a great post”, it’s only saying it’s unique to my point of view and my experience. Who else, for example, would have mixed the profane topic of affiliate reviews with high valued leadership teachings from Stephen M.R. Covey? At #6 we can clearly see an upwards trend in traffic, from only 3 unique posts and some auto posting from Google Plus. Then, at arrow #3, traffic drops due to the new WordPress theme, and then stays the same due to not posting new content until April 2013. Truly unique posts drive significantly more traffic and get significantly more social media love. Creating truly unique posts is a lot of work. Google loves news-like articles (my automated Google plus posts), they seem to get preferential treatment. #7 marks the time when I decided to put more work into ibmm. It’s April 2013. This is where my blogging case study truly begins. In the upcoming weeks I will show you in detail what I’m doing, and I’ll share the results I get in traffic, email subscribers, social media love, and more. How to redefine my blog audience. How to create epic blog posts. How to use guest blogging in a good way. How to increase social media shares. How to build email subscriber lists. How to use your blog for business. If you, too, have a blog worth bringing back to life, go and check your stats. See what you’ve done when and what results you got from it. 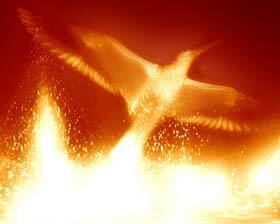 Then we’ll move on to make a new start and have your blog rise like Phoenix from the ashes. 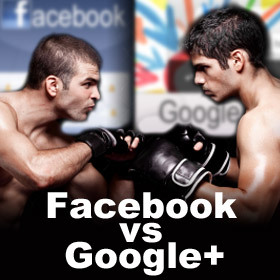 Google Plus and Google Authorship are increasingly important for bloggers. I invite you to connect with me and 254 597 fellow bloggers on Google Plus. We, Pauline Cabrera and Ralf Skirr [that’s me], came up with a new concept of combining Google Plus' Shared Circles with a Google Plus Community for Bloggers.